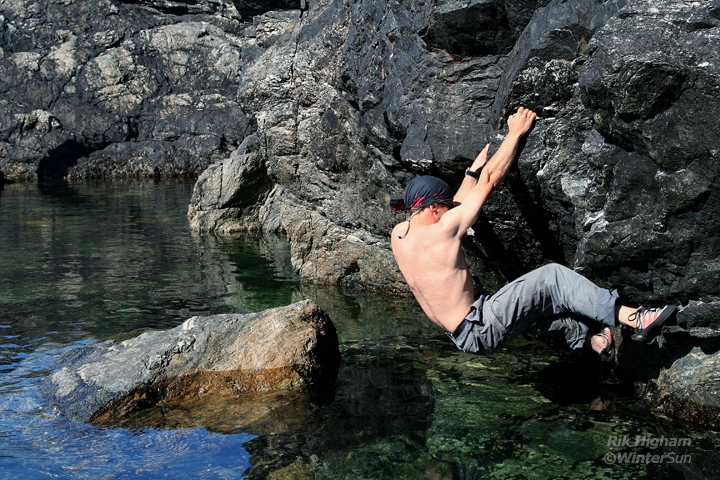 Rik Higham does a spot of deep water soloing above a tidal lagoon on Boreray. Yes, I know this wasn't taken by me, it was taken by Gareth, but it's got me in it and I like it. Ok?